As a student in academia, even at the graduate level, you are by definition an inexperienced person who has much to learn. But now I’m a young professional working with digital media, and suddenly older people see being young and inexperienced as an inherently good thing. The logic seems to be: The less adult you are, the more in touch you are with how 13-year-olds are using Snapchat, which means you must magically know what the next Facebook is going to be. That’s why there are so many stupid tech articles where the journalist’s only reference is random musings of a 15-year-old who says Twitter is pointless. Part of the problem is that the digital media landscape changes so quickly that it is hard to find or produce relevant research. But most of the problem is that there aren’t enough people over 23 who are willing to sit down in front of their computer and figure it out on their own. On the one hand, being under 30 can’t be my specialty for more than another two years and seven and a half months. But on the other hand, I became an adult online – and that means people with decades of experience in journalism or PR listen to me. Even if they initially listen to me because I’m a millennial – and therefore an automatic Facebook genius – I get to tell them how to change their websites and who they should follow on Twitter. I don’t want to be like those journalists who chat with their cousin for five minutes and think they’ve uncovered the key to online marketing success. I want to learn about digital media, not just by hanging around on Twitter, but by actively exchanging ideas with people who have experience I don’t have yet. I also want to learn from the experience of my colleagues who didn’t grow up with websites. I still point out to people that they really shouldn’t rely on my personal social media advice, and that I haven’t studied digital media the way I studied immigration or fundamental problems of exchange. But then I remember that through this blog, Twitter and hours and hours of reading things on the Internet, I have learned things. I’ve earned the right to say that I know stuff now. 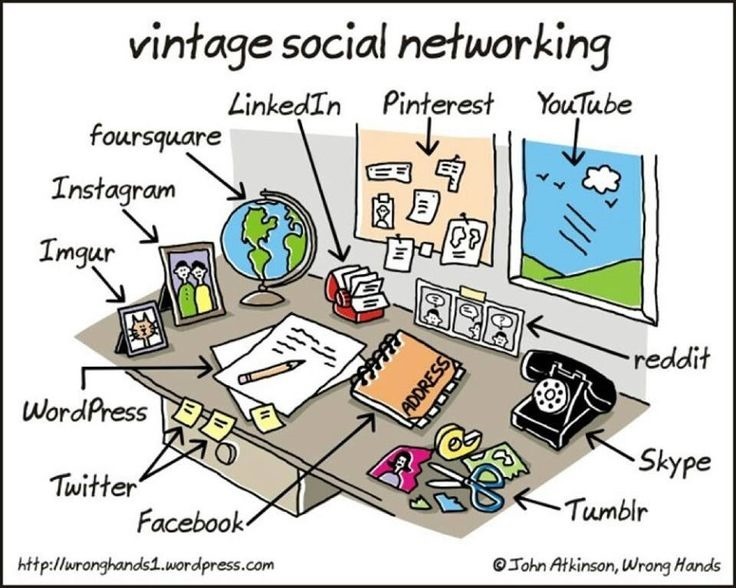 Image sources: Check out Wronghands for more cartoons like the one I used in this post! 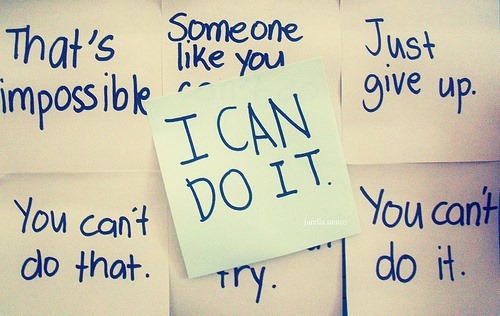 I found the motivational Post-Its here. This can apply in so many other situations. Yes! Anything specific on your mind? Great article Julie! And so true. We are the social media generation. We know it like the back of our hand, and my company has lost contracts because we are young and dress in t-shirts and have tattoos. Seems silly, they want to rebrand their company to capture new, younger and hip audiences but are not willing to bend to include part of that culture in the solution. Dumb. I know what you mean. It feels like I’m constantly going back and forth between trying to appear older and more experienced (look at me wearing a pencil skirt and talking like an adult!) and appearing young and cool (I can get away with blue nail polish in conservative client meetings because I can also use words like selfie and hashtag!) Seriously though, I think I’m lucky to be working in Norway, where everyone is on a first name basis with everyone, and business casual is REALLY casual. But I do try to adapt my general style to what clients are comfortable with, actually.